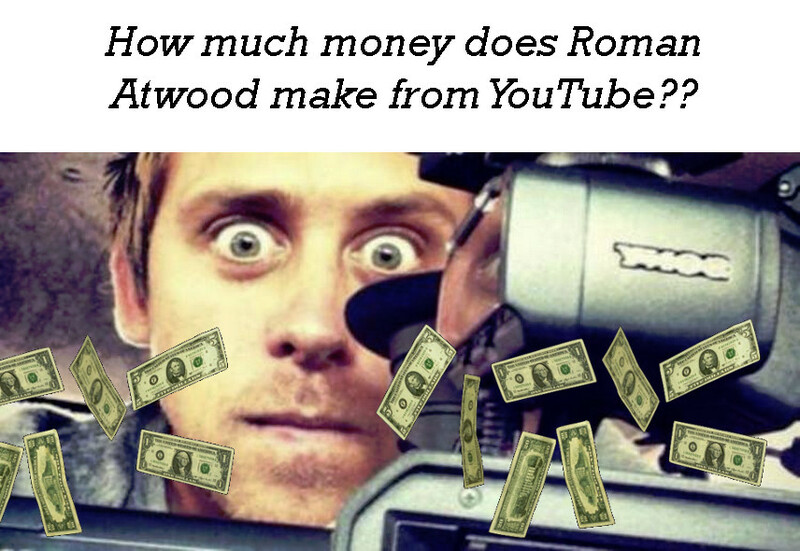 Roman Atwood may be best known for his huge YouTube following on BOTH his video blog channel as well as his prank videos channel, but what is really astonishing is just how much money he has made from YouTube alone. With over 20 million total subscribers and over 4 BILLION views, he is not only one of the biggest YouTubers in the world, but also one of the wealthiest. According to our calculator he has made a total of anywhere from $5 to $14 million USD from YouTube alone, not accounting the numerous endorsement deals he most likely has behind the scenes. With such a giant following, he represents the new type of celebrity: a social media celebrity, in which anyone with a camera and internet connection can also be.